There are so many benefits to adding a few nourishing essential oils to your beauty routine, from hair care to skin care and everything in between. There’s something for every issue you might have, and with such versatile options to choose from, one oil can often do the job of two or three other products. Just remember to follow use suggestions for your oils and never use them without diluting them first, just in case they irritate your skin. Keep reading for a rundown of some of the best essential oils for hair health! As far as nourishing essential oils go, peppermint oil wins the gold. Its multi-use nature makes it an integral part of any essential oils collection, and is especially great if you have a dry and itchy scalp, or want a little boost with your hair growth. The menthol in peppermint oil (which is responsible for its cooling feel) is a champion at improving blood flow, which in turn stimulates hair growth. Clary sage oil is one of the best nourishing essential oils when it comes to balancing scalp oils and fighting dandruff. It’ll also give your strands a boost and will condition and strengthen your hair to prevent breakage and promote sleek, shiny locks. And finally, it’s also a great option if you’re looking for your hair to grow a little faster, because it stimulates your hair follicles and increases blood circulation, which will help boost its growth! When you think of chamomile, chances are you probably think something along the lines of soothing or relaxing. Chamomile oil is a fantastic option for dry hair and dry, itchy scalps for this very reason. It’s a soothing, hydrating option that’ll work wonders if you have to deal with dandruff. Another fun property of chamomile oil is its ability to brighten and enhance blonde hair, and in some cases, even lighten it. Like plenty of essential oils, lavender oil is a multi-hit wonder, boasting so many uses that you’ll be missing out if you don’t have this in your collection already. Aside from its beautiful scent that is often linked to relaxation and better sleep, it’s also a fantastic choice for your hair. With regular use, you’ll find your hair growing quicker and even thicker in some cases. It’s also excellent in fighting inflammation and irritation on the scalp, like you’d find with dry scalps and dandruff. Joining the ranks of the best nourishing essential oils for your hair is cedarwood oil, extracted from the wood of a cedar tree. As well as gaining the reputation as an excellent stress reliever, cedarwood oil is excellent at hydrating and moisturizing dry locks and scalps, as well as promoting hair growth. It also boasts antiseptic properties, which is a game changer in terms of fighting off unwanted inflammations and infections. Native to the Mediterranean, rosemary oil’s claim to fame lies in its ability to treat hair loss. With its anti-inflammatory properties and its ability to improve circulation, hair will be encouraged to grow and thrive, leaving you with long, silky strands in no time. Another bonus of rosemary oil is that it’s said to prevent premature greying, and works wonders on dry and itchy scalps. Native to Australia, this wonder oil is a necessity in every essential oils collection. Not only is it a powerful anti-fungal and some kind of magic in treating acne, tea tree oil (or melaleuca), works wonders when used on the hair. Because of its anti-fungal and antiseptic properties, it’s highly effective at treating dandruff and other dry scalp conditions, all without stripping the scalp of its much-needed moisture and hydration. It’s also fantastic at controlling oil build-up on the scalp, which in turns creates a much healthier growing environment for your hair. Sandalwood oil tops the charts of best nourishing essential oils. It offers the most skin-related beauty benefits out of any essential oil, and it provides several benefits for hair, as well. It’s highly effective at nourishing dry hair, transforming it from dull and straw-like to sleek and shiny, and when massaged into your scalp, it also offers a cooling sensation, treats dandruff, and stimulates hair growth. Whatever your hair struggles, there’s an essential oil to help you. 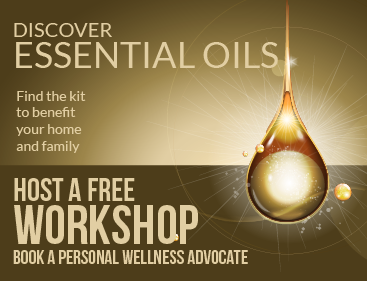 What are your favourite essential oils? Let us know in the comments below! OTT Valentine's gifts: are you smitten enough to spend R12k on dessert?